graphic novels. Chilling and haunting." "John Bolton is a god and Straub and Easton write about evil like it was their own invention. 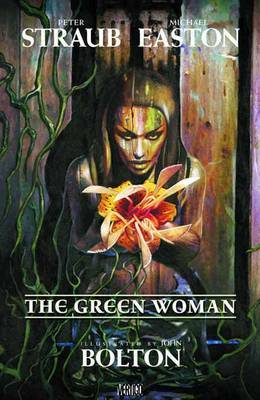 Let The Green Woman sink its claws into you." "Peter Straub is a living legend and John Bolton remains one of the great comics illustrators of our generation. Together with Michael Easton, these masters weave a beautifully macabre tale. A must read for horror fans." -- Steve Niles, writer, 30 Days of Night, Freaks of the Heartland"